Welcome to Silver Shells St. Barth! 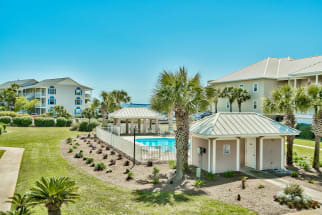 Emerald Coast by Owner is proud to be your premiere vacation rental service for this area, offering you a number of luxurious properties equipped with elegance and comfort! When you stay with us, we want you to have the best trip yet, so come down to Silver Shells St. Barth, where you can enjoy some amazing beachfront condos with one of the best views of the gulf you'll ever witness! Silver Shells St. Barth is a smaller complex, but comes with more of a private relaxing vibe that you can't beat. If you want to relax and blow off steam, here's the place! However if you want to have fun and cut loose by all means go ahead! You're in the perfect location for whichever style trip you desire. For fun down here, people tend to go parasailing, deep sea fishing, paddle boarding, jet ski rentals, golfing and so much more! A great place to shop is the Destin Commons, an outdoor mall with over 90 stores and a few traditional restaurants you can't pass up! Speaking of food, be sure to try the numerous seafood spots all along the coast! A few excellent ones we recommend are Pompano Joe's and The Crab Trap! You won't regret a meal at either place, so come down! For the best Vacation Rentals by owner at Silver Shells St Barth, look no further than Emerald Coast by Owner! Find the best rental listings by owner today! When you book with Emerald Coast by Owner, we make it easy for you to choose where, when, and what you want to do on your trip. Contact us with any questions!